New York is known as a restless city, where every business has a golden opportunity to flourish. With such a reputation, the city has earned the title of “capital” of many things: capital of fashion, arts and even capital of sports having two baseball teams with one of the country’s highest fanbase. But if there’s one thing New York is known for, it’s being seen as a “paradise” for the financial markets: Wall Street, more than just a stocks market, is a cultural icon. Few may know how it works, but everyone knows that if you’re looking to invest, New York is the place to be. But nothing is perfect, and in the case of New York, the black spot is related to nothing less than the world of blockchain and cryptocurrencies. In 2015 the New York State Department of Financial Services (NYSDFS) published the Regulations of the Superintendent of Financial Services Part 200. Virtual Currencies. This controversial law, commonly known as BitLicense, seemed more like a tool created to give traditional financial services an advantage over Fintechs. It imposed a series of regulations so complicated that it was practically impossible for them to get the permissions they needed to operate. 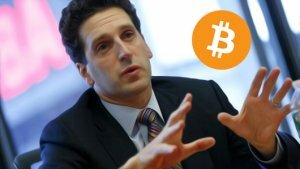 Former New York Superintendent of Financial Services, Ben Lawsky, was responsible for the creation of the BitLicense, issued by the New York State Department of Financial Services (NYSDFS) under regulations designed for companies. The process was so intricated that shortly after the law was passed, its creator Benjamin Lawsky founded Lawsky Group: A company specialized in providing financial consulting services to those requiring a BitLicense. In other words, Lawsky Group was in charge of delivering solutions to the problems that began thanks to the actions of its very own CEO. This complicated bureaucratic process, along with high fees (over $50,000), made a large number of internationally renowned companies linked to the world of cryptocurrencies just prefer to leave the city and settle elsewhere: Xapo, Bitfinex, BitQuick, BTCGuild, Eobot, Genesis Mining, GoCoin, Kraken, LocalBitcoins, Paxful, and Poloniex were some of the startups that joined the exodus according to reports published by Fortune. Since its inception, BitLicense has been a motive of shame for lawmakers and blockchain fans. Virtually no one supports it and the fact that the number of licenses granted was so minimal (according to official figures, only 3 Bitlicense Holders were operating by the end of 2017) made a revision necessary; something that for a long time remained elusive. Anyone in the crowd that does not think the BitLicense needs to be reformed? Not a word from the audience. Then, a few seconds later, laughter at the awkward silence. It would get rid of the fee and the actual license itself (…) We want to embrace the startup companies that are trying to launch exchanges. On the official site, the bill is defined as “AN ACT to amend the banking law, in relation to safeguarding New York cryptocurrency business activity and prohibiting licensing fees for such business activity,” excellent news for the world of bitcoin, especially after Mike Carney’s favorable statements addressed to the G20. There is still a long way to go. Mr. Kim is aware it could take until early 2019 to become law, but his optimistic positions, as well as those of his colleagues, make it possible to foresee a positive future for New York and perhaps a nice bullish run on Bitcoin prices. Jose Antonio Lanz is a Latin American crypto enthusiast. He is a specialist on management and strategic planning with more over 10 years of experience. Lanz has worked as a legal and corporate consultant. He loves learning about Asian culture, understanding the true potential of blockchain and reading articles about "how to raise a baby for dummies."